Visit Core3dcentres booth for the live presentation of Digital Smile Design - The Power of Smile using 3Shape Smile Design and Realview. Digital Smile Design completes workflow from treatment planning to final restoration. This workflow encompasses the power of patient experience with the immediate proposed results with the desired treatment and ability to complete the final restoration as proposed. Delegates can also look forward to a live presentation of the digital smile design using 3Shape Smile Design and Realview at the booth. GiGATT proudly introduces ZUMAX dental microscopes and PENTAX loupes at DAMA 2018. Delegates can look forward to learning more about the microscopes and loupes at their booth this September. Zumax Microscopes are highly modular, integrating a six-step magnification selection (2.8x to 25.6x) for your working needs. The system is mounted on an articulated armature that enables superb counter-balance customization for precise and smooth adjustment to your working preferences. Zumax Microscopes also comes with universal mounts and adaptors, enabling you to attach a wide-selection of digital cameras and popular smartphones to the microscope, both for picture and video capture as well other media options like Live Videos or Calls. Pentax Prismvue Deflection loupes are specially designed with a built-in prism in it's main housing that deflects the user's view downward at a 48 degree angle. It allows the user to have a magnified view of the operative side without having to bend the user's head downwards, enabling a correct posture and eradicating neck and back discomfort. Visit IDS Medical Systems booth at DAMA to learn more about W&H Lisa VA-131 table top sterilizer. Sterilization, hygiene and maintenance are increasingly important in the dental practice. W&H offers best practice hygiene protocols. Join Ivoclar at their booth as they conduct a live milling demonstration using the PrograMill One. Delegates can learn more about the PrograMill One – the milling machine for your IPS e.max solutions. PrograMill One – the world's smallest 5-axis milling machine featuring a unique 5-axis turn-milling technology (5XT) was built with the motivation of making what is good even better. Drop by Raydent Supplies booth for free samples and an exclusive promotion of 2+1 bundle on Bisco’s All-Bond Universal Kit. Attendees can also forward to a hands-on demonstration of the product while at the booth. Shofu Dental will be showcasing a range of products at DAMA 2018 including the Beautifil II LS, Shofu Block HC, Shofu HC CAD CAM and Eyespecial C-3. Beautifil II LS - Formulated with a novel SRS monomer structure and unique filler technology to ensure long lasting aesthetic restorations. SHOFU BLOCK HC – A class above in quality. SHOFU HC CAD / CAM restorative is the only one that offers the unique flexibility of the in-office (SHOFU BLOCK HC) and in-lab (SHOFU DISK HC) versions, enabling you to select exactly what you need for your practice. EYESPECIAL C3 – An ultra-light and compact frame allows you to shoot precise dental images effortlessly with single hand, freeing the other to adjust/hold the cheek retractor or mirror. The new Eye Special C-III has an exceptional depth of field, improved maximum aperture and proprietary flashmatic system to consistently capture sharp images in true colour for all dental purposes. 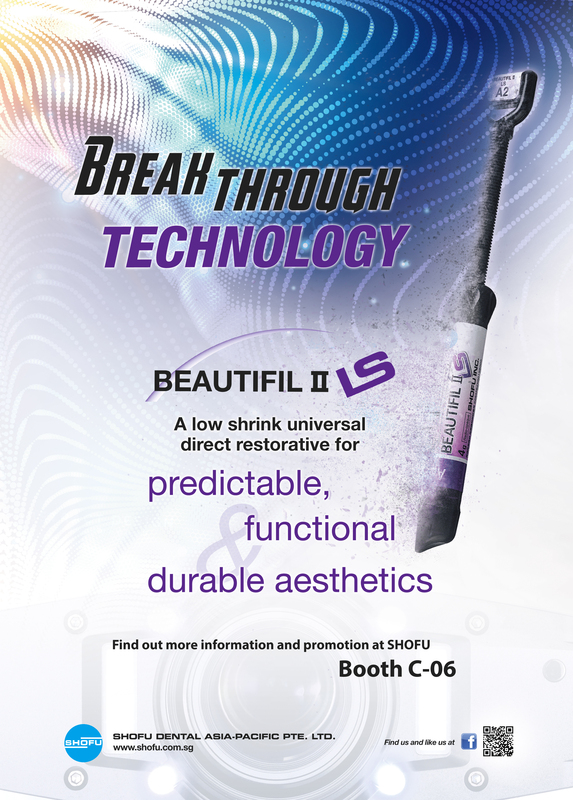 Join TriHawk International as they showcase their bur designs - the sharpest and fastest in the dental World. TriHawk will feature a complete product line; metal-cutting, carbide, diamond, finishing and our NEW endodontic burs. All of which are offered in standard and surgical lengths. With their innovative approach, perseverance, focus and pride, it has enabled the Tri Hawk bur to achieve Global recognition. For more information on the full list of participating exhibitors, please kindly refer to the exhibitor list here.